Meet Isaac!! He is definitely in the running for Pleasantly Plump [Knits.] 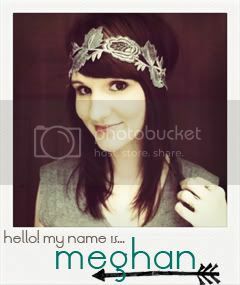 poster child! Be.still.my.heart! I love this photo!! 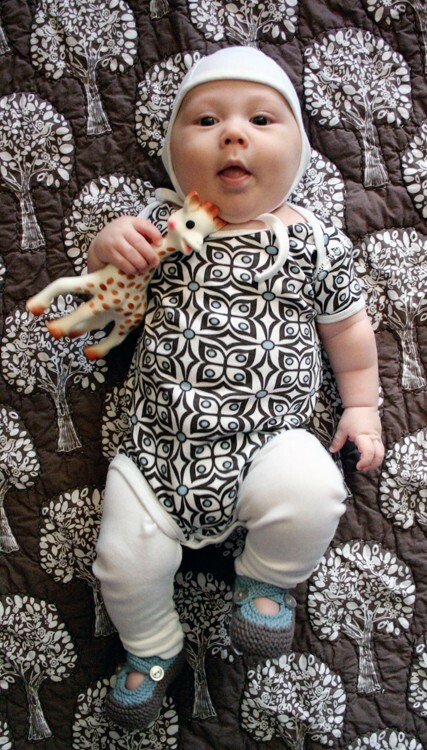 Isaac is the handsome son of adorable Tiffany & I love that she has shared these awesome photos of little Isaac sporting my booties!! 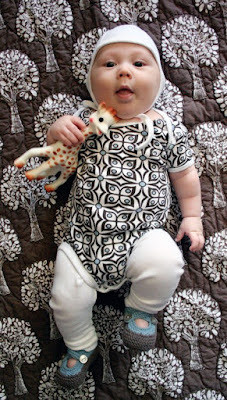 Please feel free to share your photos of sweet babies in Pleasantly Plump [Knits.] booties on Facebook! awe!!! SO glad I'm getting to catch up on my blog reading...how could I have lived with myself if I missed this post! Thanks for the shout out! Isaac LOVES his pleasantly plump knits!